In a way, I have Anne to thank for my museum visit. In fact it was Kolohie, Anne’s eldest who gave me a guided tour of the city and took me to SAM, but guess what, it was Aunty Joyce who gave Kolohie the guided tour of the Oceanic/Melanesian collection at SAM, so he could learn a little about his culture. While we were in SAM, it was an opportune time to visit an another ‘old’ friend, Sopikarin. 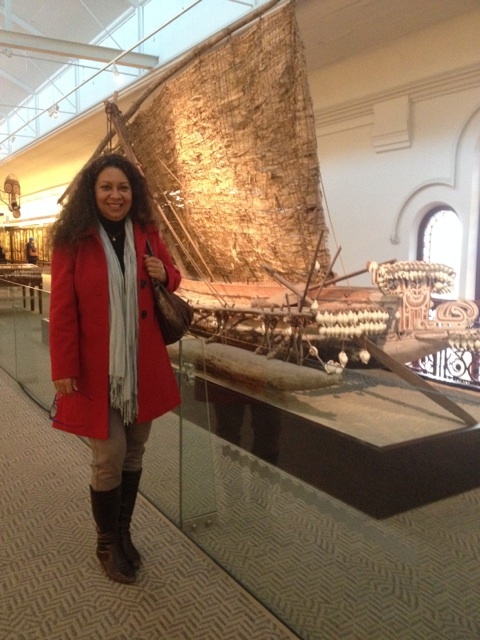 Of course she is not a person but this outrigger canoe from the Trobriand Islands of Papua New Guinea. 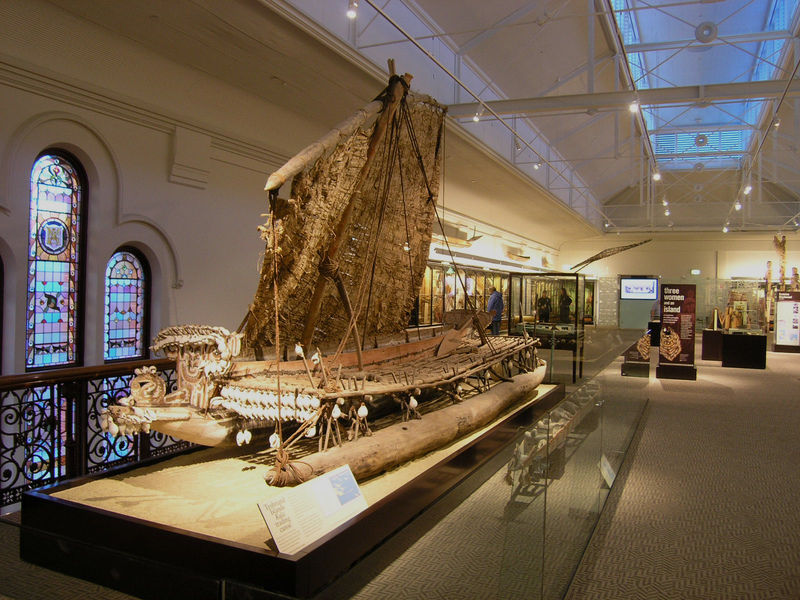 I had done some research and with tremendous help from Dr Barry Craig, written an article about the Sopikarin’s journey from PNG to Australia during my museum studies in University of Queensland 2008. I had never seen the canoe until I went to Adelaide. The funny thing was, all this time I had thought Sopikarin was a much larger canoe. Can you just imagine the number of men with all their goods, trading in this canoe for weeks on open seas? 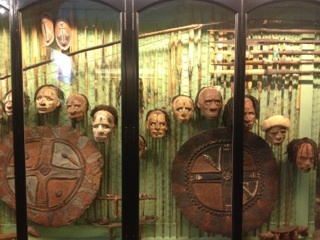 Skull collection at South Australia Musuem (SAM) which I did not like personally but I love the two round shields positioned at the bottom of the skulls. I have never been a great fan of museums collecting skulls or other remains of humans. Below are links to SAM and a picture of Dr Barry Craig taken during his field work in Papua New Guinea.